The parents of thousands of children who died in the Sichuan earthquake last year are angry their calls for a public inquiry are being denied. 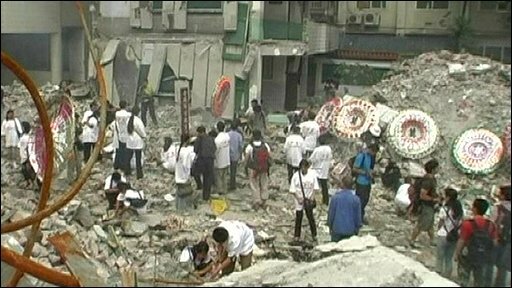 More than 5,000 children died in the quake, many of whom were in school buildings which collapsed. But the government is refusing to hold an inquiry into the standard of the buildings which were destroyed, and many parents say they have been threatened and even attacked. James Reynolds reports from Sichuan.